Matthew Daley is a Manhattan corporate lawyer at the top of his game. As the first defense attorney on call to get pharmaceutical companies out of trouble, Matt is rising in the judicial system exactly as he planned. Until his sister dies of a heroin overdose. Now, torn between conscience and career, the newly minted law partner faces a critical choice: Defend the very companies that manufactured the addictive drugs, or give up his fiancée and his hard-won dream job to fight for justice in his sister’s name. Solid legal thriller FREE with Kindle Unlimited! OMG! I Did Not Think That I Would Survive This! 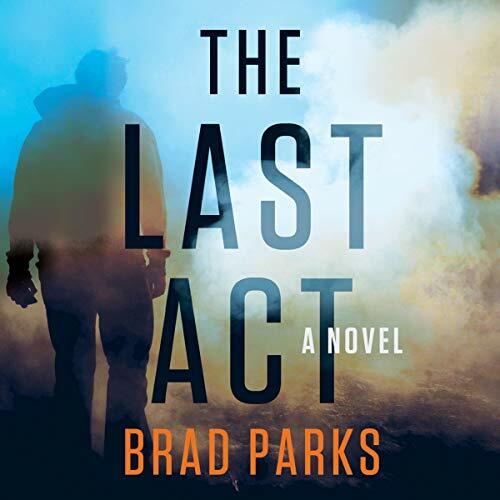 Award-winning author Brad Parks delivers a tense novel of thrills, twists, and deceit that grabs you and won’t let go until the final satisfying moment. The women in Tommy’s life, his fiancée and mother, tell him he’s crazy to even consider taking the part. The cartel has quickly risen to become the largest supplier of crystal meth in America. And it hasn’t done it by playing nice. Still, Tommy’s acting career has stalled, and the FBI is offering a minimum of $150,000 for a six-month gig - whether he gets the documents or not. Using a false name and backstory, Tommy enters the low-security prison and begins the process of befriending Dupree. But Tommy soon realizes he’s underestimated the enormity of his task and the terrifying reach of the cartel. The FBI isn’t the only one looking for the documents, and if Tommy doesn’t play his role to perfection, it just may be his last act. This is a two part story. 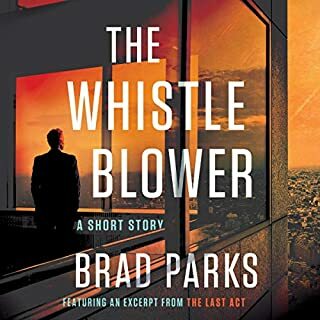 The first part (The Whistleblower ) is a two hour short story released on 1/8/19. I would highly suggest listening to that book first otherwise the crux of this book may be lost. Anyway, this is a really clever story that is put together so well. I really enjoyed the character development as well as the environmental descriptions. Brad Parks is a super author. This book reminds me somewhat of early John Grisham books. An impossible situation with the good guys (Mitchell Dupree and Tommy Jump) somehow on the wrong side of the law. The bad guys (a powerful cartel) seem to have the odds stacked in their favor. This scenario requires lots of strategizing and risking not only their lives but also the lives of their loved ones. This book is superb. 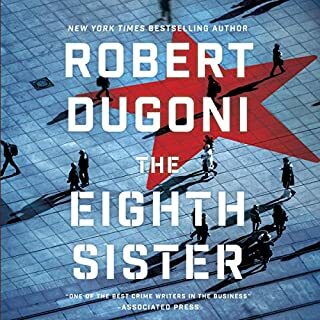 The writing is solid, the story well formed, the suspense is palpable and the conclusion, stunning. Graham Halstead narration is more than excellent. This book has my HIGHEST RECOMMENDATION. 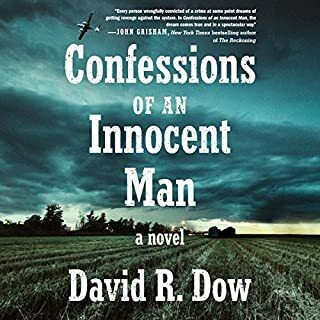 One of my favorite books of 2019. 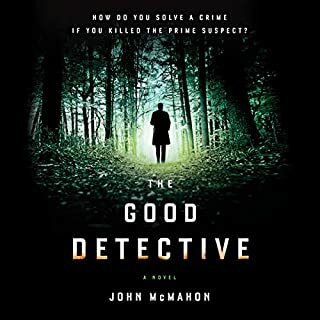 I have listened to so many duds lately that it was a real treat to FINALLY listen to a book that was truly over-the-top. The book's character development was superb and its plot was beyond compelling. The book's narration was really, really good, too ---making it impossible to put down. 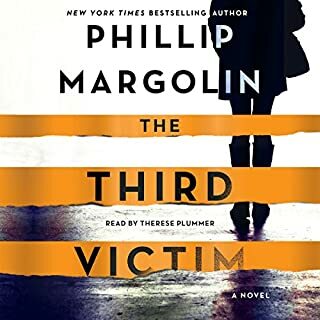 I listened to the book in 2 days because I just could not stop listening. This is my sixth Brad Parks novel. This book and "Say Nothing" were amazing. 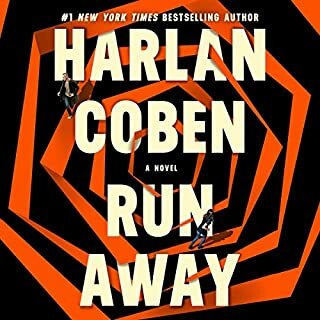 I highly recommend this book and would love to listen to an encore!